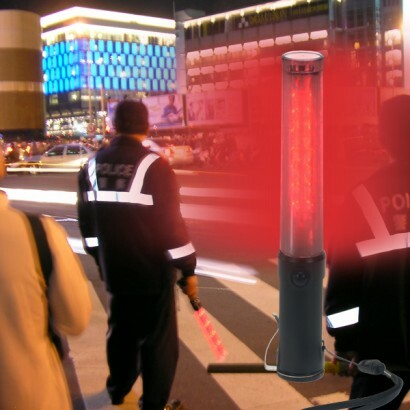 Packed full of bright LED lights, this light up traffic baton can flash or shine in either red or green, light providing a highly visible baton of light to help direct traffic or just alert them to your presence! The Traffic Baton also features a handy torch and a magnetic base - so this Traffic Baton is a bit more than a mere traffic baton. Switch between red and green light and static and flashing modes with just the push of a button. The easy to use traffic baton is durable, and versatile. Equipped with belt clip, wrist strap and a powerful magnet in the base, you the traffic baton is comfortable to hold, easy to hang from a belt and strong enough to stick to the body of your car. 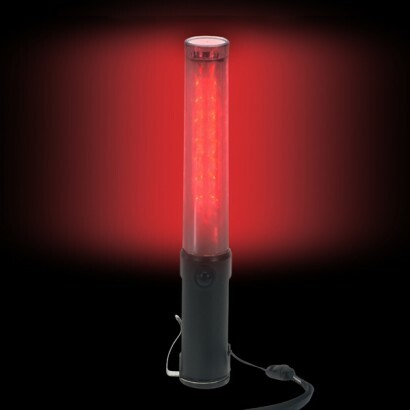 For carnivals and street processions; use light up traffic batons to direct traffic and pedestrians around your group. For outdoor events use flashing traffic batons to direct cars and pedestrians or to mark out pathways. For cars and boats, use flashing traffic batons to warn others of your presence in a breakdown or to signal for help. We use these for traffic control on a busy car park and are an essential tool to be seen and to ensure our safety in the winter months, very bright and the batteries seem to last well too. Exactly what we wanted. Essential safety tool for night time manouvering. As described and very efficient delivery. 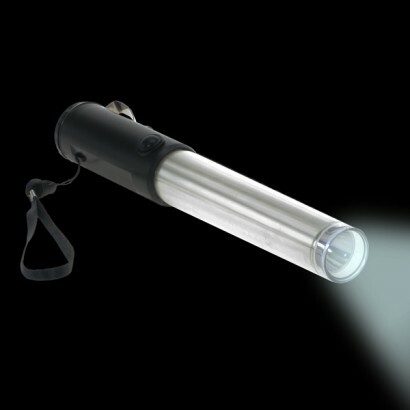 Very good product all the light functions are are bright and clear. However the flashing settings are very close to setting off epilepsie. Now the nights have drawn in, it's important to be seen in the work place, as part of my job is to get traffic out of a supermarket car park and the traffic batons help very well.